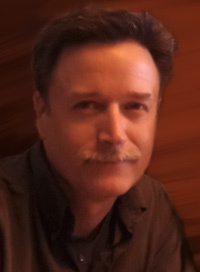 Michael J. Sullivan is a full time author whose self published series, The Riyria Revelations, hit the big time selling more than 70,000 copies in a very short time. Picked up by Orbit in the middle of last year just after the release of his fifth book, Wintertide, his six book series was repackaged into three omnibus volumes with the third volume, Heir of Novron, hitting the shelves on 30th of January this year. Here at Fantasy Book Review we have reviewed the first omnibus volume Theft of Swords and will be publishing reviews of the other two volumes in the near future. Reviewer Ryan Lawler caught up with Michael to chat about writing, the switch from self publishing to traditional publishing, and much more. Ryan Lawler: Hi Michael welcome to Fantasy Book Review. Can you start by telling us a little about yourself and what it is that lead you to a career in writing? Michael Sullivan: Hello back, and thank you for having me. As far as writing goes, I’ve always made up stories and wanted to be a writer. Even when I was very young (seven or eight), I would create books on my sister’s manual typewriter, bind them with string, and give them to friends. When I was planning for “my career” I didn’t think writing would be possible, I knew I could create good stories, but my spelling and grammar were terrible. This was long before computers and wonderful things like spell checkers. My friends (who were about the only ones reading my books) coined the term “Sully Speak” and chided me about how they had to decipher my many misspelling. Believe it or not, even though it’s only four letters I routinely misspelled evil. So I pursued art because I thought I would at least have a chance doing that. Once I was married, and we started to have kids, we wanted one of us to be home to raise them. My wife Robin made much more money than I did, so she went off to work while I took care of things on the home front. When the kids napped, I went back to writing, striving hard to study other’s works and improve my skill. I wrote thirteen novels, over the course of ten years. When I made no headway in publishing, I quit completely, and fully intended to never write creatively again. During the ten years I wasn’t writing, ideas for stories kept filling my head, and when I eventually relented, I decided I would do so on one condition…that I wouldn’t be concerned about publishing. I decided to write books I wanted to read, and the only audience would be my friends and family. Ironically it was those books that actually ended up getting published. Ryan Lawler: You made a name for yourself as a successful self-published author, selling more than 70,000 copies of your Riyria series. What lead you down the path of self publication? Michael Sullivan: It actually wasn’t intentional. As I mentioned above I had tried traditional publishing, spent my years on the query-go-round. Actually I took two trips on that ride (one with me at the controls and the second time with my wife, Robin). The first time lasted about a year and occurred just before I quit writing. Robin couldn’t convince me to try again, so when she got infatuated with Thee Riyria Revelations she took over. I actually got an agent after more than two hundred rejections, and Kat shopped the books for about a year and a half. After she had exhausted her contacts, she suggested we look into small presses. Robin sent the first book out to four indie presses that specialized in fantasy, but she also started looking into what it would take to self publish. A small press in Minnesota, Aspirations Media Inc.(AMI), signed the first book, The Crown Conspiracy and brought it out in October 2008 and even before it was released they had signed the second book, Avempartha. They had planned on putting them out on a six month release cycle, but as April approached we knew something was wrong, since we hadn’t seen the printer proofs. They finally confessed they didn’t have the money for the print run. The book already had appearances planned (book clubs, bookstore signings, etc.) so we had to hit the April release date and the only way to do so was to self-publish. Ryan Lawler: Publishing houses do a lot of work with regards to story editing, copy editing, cover art and marketing. What was it like managing all those aspects of publishing world for yourself?From that point on, continuing to self publish was the only way to keep on the six-month schedule. Robin decided if she was going to do publishing anyway, she might as well expand, so now her company has about twenty other authors who sell really well. Michael Sullivan: For many people I’m sure that can be a challenge, but Robin and I are pretty uniquely qualified for this work. We had previously run an advertising agency that we had founded, so we already knew a lot about layout, graphic design, illustration, and had the tools for making websites and such. I designed all the covers for my books, as well as the other titles in the Ridan Publishing brand. Robin is an ex-programmer so she figured out pretty easily how to convert to ebooks, and she is a marketing genius. Between the two of us we have most of the bases covered. But I should discuss editing a bit more. Every author has different needs when it comes to story editing. I had written thirteen novels before The Riyria Revelations so I was already pretty seasoned on aspects such as pacing, limiting exposition, building characters, and the like. I had always had a talent for creating compelling plots, so I might not need as much developmental editing as some. Still, authors need an objective critic, and I’m fortunate that my wife is very good in this regard. She really puts my books through their paces, and I’d match her talent with anyone employed by the big-six. Copy editing is probably the area that we have the most problem with. We hire freelancers, and have used many, but it seems that there were always little mistakes that were missed, even though the same book may be gone over by as many as five people. Personally I think if you are self-published the copyediting of your book has to be three times better than the traditional published works, and will still get criticized twice as often. People expect editing to be poor in self-published books and they love pointing out any little mistake and hold it up as proof of poor quality. In comparison, the same number of mistakes in a book from a large press will not incite ire, as they know professionals are involved. The reality is, in 100,000 words there are going to be mistakes here and there. You just have to do the best you can. Ryan Lawler: From all accounts you were doing quite well for yourself before Orbit made their offer. Do you feel that the switch to traditional publishing is meeting or has met your expectations? Michael Sullivan: I absolutely couldn’t have been happier with the transition, and that is saying a great deal. Self publishing is amazing in that you have full control. For some authors this is a burden, for me, nothing makes me happier. I know that when I’m in charge of doing things, they will be done in a way that suits me. Notice I didn’t say “right” because in many respects it’s not a matter of “right” or “wrong” and many decisions could fall either way. Of course professionalism is important and Orbit has proven time and time again that they have a lot of dedicated, smart, hard working people that really can get the job done. One thing I should mention is that I had a fair amount of trepidation going in. There are some very vocal authors that have left traditional publishing who have a lot of negative things to say about the experiences they have had. When you have no firsthand experience, it’s hard to ignore insights from people who have been where you are going. Even authors that are still deeply wedded to the traditional publishing system have lamented that their books, were not treated as well as they would have liked, and that little or no promotion had been performed on their behalf. As I mentioned, Orbit has treated me exceptionally well, which proves that I selected the correct partner. Most authors don’t have a choice, but there were seven or eight publishers that expressed an interest in The Riyria Revelations, and Orbit had moved quickly to make a pre-emptive offer. They weren’t the biggest, but they had a good eye for quality, and I have been really impressed their roll out of several other authors. They have made the New York Times Bestseller List several times and each award season finds one or more of their titles short listed or as winners. My thought was that even if another publisher came in with more money, it wasn’t going to turn my head. I was already offered a very generous advance from my top choice, so it made the decision to sign with them pretty easy. Now what I don’t know, is if all projects are treated as well as mine was. It could be that Orbit gave me some “extra loving” I really don’t know as I have no insights into other releases. But I can say that I don’t think the series could have been rolled out any better. Orbit fast-tracked the release and worked hard to get them out in three consecutive months. They created an exceptional facebook page, and augmented the release with advertising in Locus and on goodreads and facebook. They’ve gotten the books premium placement in stores across the country. They even released a Percepliquis only version so that existing fans could complete their sets. At this point I think the onus of responsibility is on me and the books to take it from here. If they don’t make it, it won’t be because Orbit didn’t launch them well, it will be because the books, “just weren’t good enough.” Orbit has held up to their end of the bargain, now it’s up to my writing to connect with people. If they like the books enough, word-of-mouth will take them to the next level. Ryan Lawler: You have been a big proponent of the "ebook revolution". With ebooks doing so well, where do you see print books fitting in to the new publishing landscape? Michael Sullivan: I don’t think print books will completely disappear, but I do think they will continue to lose ground. In the future I’m sure print books will be a subsidiary right and the majority of a books income will be made from the ebooks. The reason for this is simple…convenience. When it’s 2:00 in the morning and you’ve just finished a fantastic book, you don’t want to make a mental note to look for that author the next time you are at the bookstore. The instant gratification of having that book in your hands in just a few seconds can’t be beat, especially for a genre like fantasy where series are so popular. It’s unfortunate, but in many ways bookstores are already becoming showrooms, where readers browse to find new books to buy, but they leave he stores without spending any money. They go home and buy discounted books online or download to their readers. In many cases, the bookstores are getting their sales from heavily discounted books which are on the bestsellers lists. I can imagine that in the future the shelf space for print books will continue to decrease, and it will only be the biggest names being produced and selling in that medium. Midlist authors will probably be hit the hardest. But hopefully some publishers will embrace print-on-demand technologies for their lower print sellers. This will keep their costs down, and eliminate returns, warehousing costs, and costly print runs for titles that don’t sell well. While we are on the topic of ebooks though, I do want to bring something up…and that is price. I truly feel that authors are at risk from a race to the bottom. In the old days, a year or two ago, few big publishers ever dabbled in the low price pool. Now I see this occurring pretty regularly. The volumes required for any author to make a living at $0.99 is very high, and only a very few can do well there. As to $2.99, this does provide a good income for self-published, authors, but when traditionally published that generally means about $0.52 a book (verses $2.09 for self-published). I would worry for all authors in a world where all books sell for $0.99 and $2.99. To me a reasonable price for an ebook is $4.95 - $9.99 and the $0.99 and $2.99 should be used on occasion for promotional purposes. I think that strikes a good balance between providing authors a living wage, and not asking too much of the reader’s pocketbook. Ryan Lawler: The Riyria Revelations is quite different to many large fantasy series I have read with each volume telling a self-contained story while an overarching plot weaves in and out of each story. Did you deliberately set out to subvert the traditional epic fantasy tropes, or was this subversion just a by-product of the story you wanted to tell? Michael Sullivan: Ha! It’s really not easy to “subvert traditional fantasy” when you have no ambitions on publishing. Your second assumption is correct in that it really was about the story I wanted to tell. I had been very impressed with J. Michael Straczynski’s Babylon 5 because he had written all the episodes for a five year run, even though he had no guarantee past the first few episodes. I liked that he had planned out the entire arc from beginning to end and as a storyteller I was drawn to the opportunities that doing so much upfront legwork could open. I loved trying to unravel where the story might go – it was a great deal of fun. So really all I was doing is creating something similar. The downside, of course, is that you have to write all the books before letting anyone read even the first one. I often found myself adjusting an earlier book because I came up with a great idea when writing one of the later ones, and if I had the earlier ones “out there” I would have missed out on some exceptional twists. Ryan Lawler: Royce and Hadrian are two very capable characters and you don’t shy away from explaining their amazing feats in detail. Did you have to do a lot of research into their various skill sets before you could employ them in the books? Michael Sullivan: I’ve had some people who are “in the know” ask me if I’m a fencer, as they say I describe various hand-to-hand scenes well. The truth is I’m not trained in anything remotely similar to that, so most of what I know, or at least think I know, comes from research rather than firsthand experience. But knowing techniques is only a fraction of the equation. For fighting scenes to be interesting, you have to treat them like little plays in and of themselves. If you were to just list who did what when, it would be very boring. You have to create a little story within the fight with its own drama and high and low points. I probably spent the biggest chunk of my research time not on fighting aspects, but on learning about ships and sailing because a portion of one of the books, The Emerald Storm (2nd volume in Rise of Empire) is set on a ship. I’m a huge fan of Horatio Hornblower, and I did a lot of reading on maritime life and enjoyed every minute of it. This is a good thing, as only a fraction of what I learned or absorbed ever got into the book. Like all world building, the rules of the iceberg should apply. The amount of information that the author knows should only be barely exposed to the reader. All the rest just provides a nice foundation. Ryan Lawler: What is the next project on the horizon? Can we expect to see more from Team Riyria or the world of Melengar? Antithesis: Two opposing individuals possess limitless magic, providing the universe balance. An unexpected death transfers this power to an unsuspecting bystander who is clueless of the consequences of his newfound abilities. No? Well don't sweat it. Most people don’t, and the few that do expect the cause will be a dramatic change in climate, a pandemic, or mostly likely war. That's what we've all been taught to believe, and we’re comfortable with rational explanations. But people weren’t always so quick to accept the facts provided by so-called experts. There used to be a time when we believed in myth and magic. Our minds were open to the idea of believing in what can’t be seen…the fantastical. As for more Riyria books…I’m playing that one by ear. The Riyria Revelations was carefully designed, and I won’t “tack on” to it as the series was designed to end where it did. I’m afraid that doing so may ruin something that I think is quite special. That being said, I have left the door open for prequels, and if there is demand, I would be more than happy to comply. What I do want to be careful of though, is to not have my characters “overstay their welcome.” We have all seen television series, or read books, that kept coming out long after their prime. I don’t ever want to see people saying that Riyria should have quit some time ago. The bottom line is that in order for there to be more books with these characters or in this world, I have two caveats: first, an audience that really wants them, and second a compelling story that I would like to read. I’m pretty sure I have the second part, time, emails, and sales numbers will determine the first. Ryan Lawler: Finally, can you name three of your favourite fantasy books? Michael Sullivan: Well it’s boring, but true, so I have to say that first and foremost would be Tolkien’s The Hobbit/Lord of the Rings. These books were instrumental in turning me from a kid who hated reading to a lifelong fan of the written word. Prior to them, you would have to beat me to read a book. Without their influence I’m sure my life would have been much different than it is today, so I have to give them the first nod. Secondly is the Harry Potter Series it also played a major role in getting me to write, because I had forgotten just how much fun an adventurous tale with characters you love can be. I had been writing a lot of literary fiction, with well structured prose, deep themes, and complex characters, and quite frankly had found that writing them was more “work” than “fun.” After reading Potter I decided to write The Riyria Revelations, and to do so as a fun, fast-paced romp. It was a catalyst for getting me back to the keyboard, so how can I not acknowledge this fine series. The last may come as a surprise to many, and some won’t even consider it fantasy, but to me it has all the earmarks: a tale of adventure, great heroes, frightening villains, and deep bonds of friendship (notice that the other two also share these same characteristics). The book is Watership Down by Richard Adams, and is about a bunch of rabbits who leave their home and go off in search of a better place to live. Hazel and his smaller brother Fiver are great characters (as are everyone in the supporting cast) and the story is filled with examples of standing up for what is right, banding together, and what it means to be a leader of men…or even rabbits. Ryan Lawler: Thanks for chatting Michael. Michael Sullivan: Well again, thank you for having me. I had a great time.